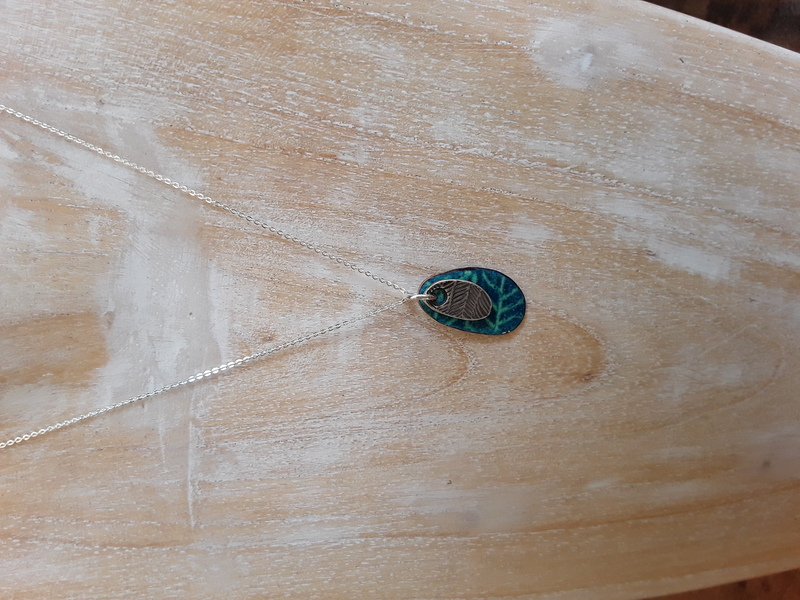 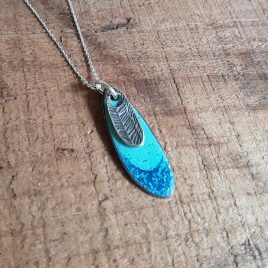 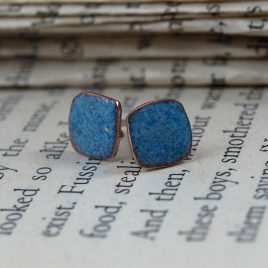 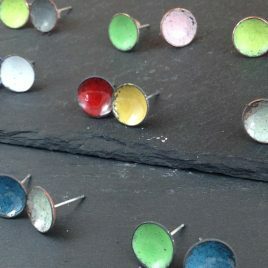 Sgraffito enamel and silver layered pendant in organic shape. 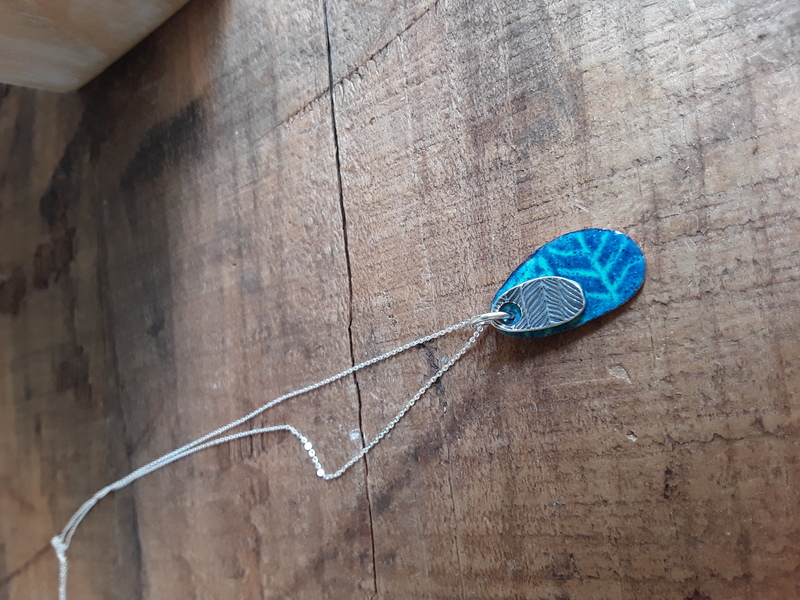 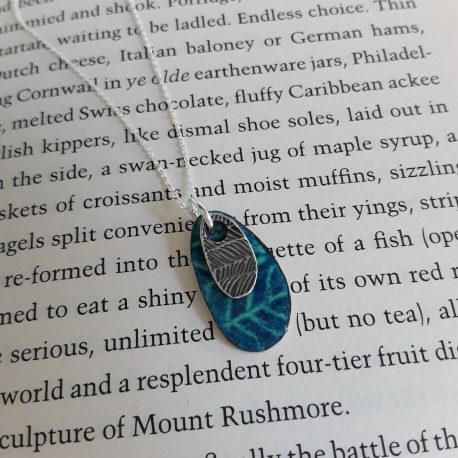 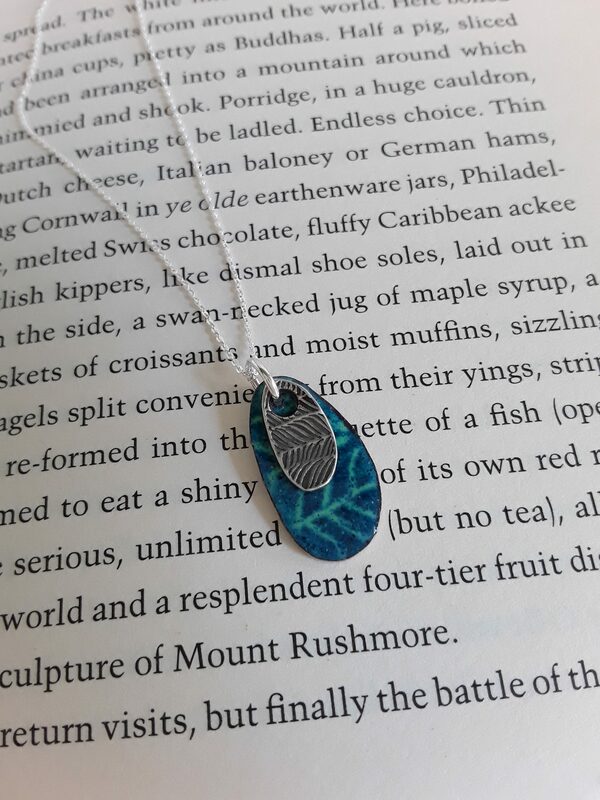 Kiln fired sgraffito enamel pendant with sterling silver layer. 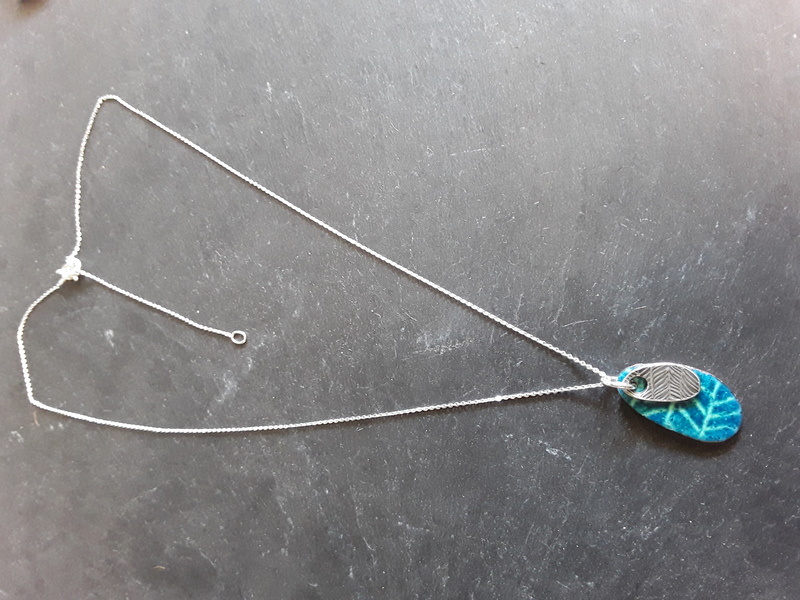 This pendant is on an adjustable 16-18″ sterling silver adjustable chain.A unique and individual gift for her delivered n a copper foiled gift box.